Constructed: 750 – 842 A.D.
Borobudur temple is located approximately 40 km (25 miles) northwest of Yogyakarta and 86 km (53 miles) west of Surakarta. It is located in the Borobudur district, south Magelang in central Java. Borobudur lies in the the Kedu Plain - a fertile volcanic plain between the twin volcanoes of Mount Sumbing and Mount Sundoro to the west, and Mount Merbabu and Mount Merapi to the east and two rivers, the Progo and the Elo. How to get to Borobudur? The nearest larger airports are Yogyakarta's Adisucipto International Airport and Solo's Adisumarmo International Airport. Both are well connected domestically, and also offer international connections. Yogyakarta's airport is accessible by daily flights from Jakarta, Bali, and other major cities in Indonesia as well as international flights from Singapore and Malaysia. 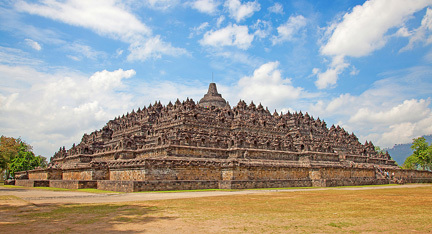 Borobudur is about one hour’s drive from Yogyakarta, where many day-trip tours can be booked. The easiest way to get there is by joining a tour or renting a car. Other modes of transportation include local buses, minibuses, or taxis. Located in the heart of Yogyakarta near the popular Malioboro district, the historic Phoenix Hotel Yogyakarta, a member of the MGallery Collection, is a colonial landmark dating back to 1918. It is elegantly situated in down town Yogyakarta, the cradle of Javanese civilization. 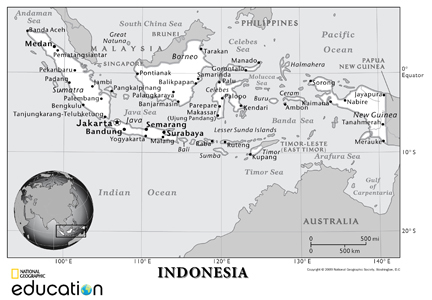 The world heritage Borobudur and Prambanan temples are only an hour drive. Yogyakarta's cultural heritage and picturesque settings emit a distinctive charm that seldom fails its visitors. The 144 beautifully appointed rooms are reflecting the ambiance of bygone era wrapped in modern comfort facilities, enabling its occupant to celebrate a glorious past without losing the beauty of contemporary living. Hyatt Regency Yogyakarta is a 5 star hotel in Yogyakarta, the cultural heart of Java. The hotel is situated in the scenic outskirts of north-western Yogyakarta, elegantly set in 24 hectares of beautifully landscaped hotel gardens. The idyllic location of our hotel in Yogyakarta affords stunning views of Mount Merapi (the sacred mountain of Java), Seribu Mountain, and Java's beautiful landscape. This hotel in Yogyakarta city is strategically situated near the main highway with convenient access to Borobudur Temple and other places of interest. Adisucipto Airport Yogyakarta is just a 15 minute journey by car, while the city centre is only 7 km, a ten-minute drive from the hotel. Have you already visited Borobudur or plan on visiting? Do you have an interesting Borobudur travel story? We would love to hear about your Borobudur travel experiences, your reviews of hotels, restaurants, or tours, your top travel tips and any recommendations...anything about the Borobudur travel that you can share with us.